Partly cloudy. High 83F. Winds ENE at 10 to 20 mph..
St. Croix native James Weeks’ spiritual journey began in a kitchen in Oakland, Calif., more than 15 years ago, devouring fluffy white yams in red chicken stew and chatting about Yoruba culture with a Nigerian friend. More meals and more conversations followed over the years, and Weeks’ appetite for spiritual nourishment grew. Combined with a need to resolve a family crisis involving his teenage son, those experiences culminated with him being initiated (in Nigeria) as a priest, or babalawo, in the Ifa spiritual tradition of Nigeria’s Yoruba people in 2003. 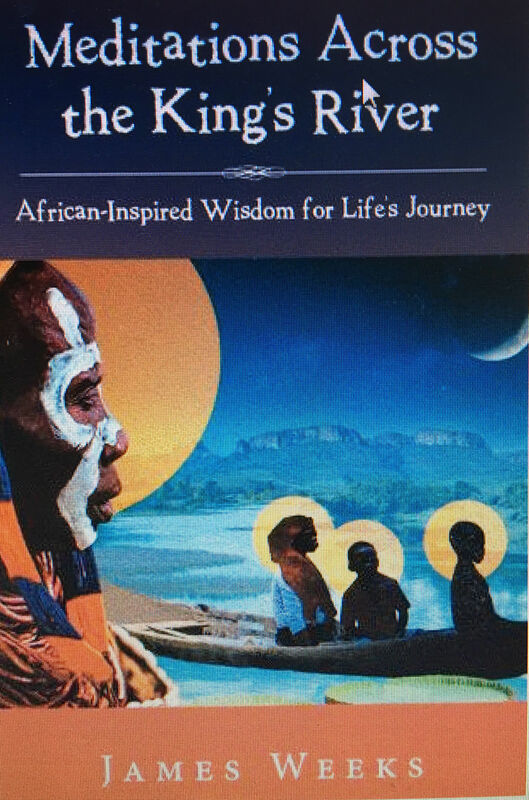 Fast forward to the present and Weeks, now a well-respected Ifa spiritual counselor with an impressive following worldwide, published “Meditations Across the King’s River,” a 147-page volume that chronicles his travels throughout the Caribbean and Africa dispensing African-inspired wisdom to clients hungering for hope and direction. “Along the way he has acquired an intricate trove of family memories, blessed encounters, lessons learned, challenges faced and dilemmas solved and shares them with us in ‘Meditations,’” writer Monique Clendinen Watson says in the foreword of the book, which was released in December by Balboa Press. Weeks, who still lives in Oakland with his wife and the youngest of their three kids, said the book is a byproduct of the positive feedback he received on the Facebook page he created 10 years ago to support his documentary-in-progress, “Across the King’s River.” His daily postings on Facebook tracked his journey as a healer and his ultimately successful efforts to save his eldest son, who had been immersed in East Oakland’s gang culture. “There was a demand for these revelations. People were asking for them constantly,” Weeks said of the book’s affirmations in a recent interview with The Daily News. In “Meditations,” Weeks expounds on African spirituality, which he said is increasingly gaining acceptance in the Western world. Its adherents include people of all races, ethnicities and nationalities, he said. African spirituality emphasizes one’s connections with one’s ancestors and one’s relationship with nature, according to Weeks. “We have lost touch with nature and our ancestors and we are sicker because of it,” he says. The Ifa spiritual philosophy is of Yoruba origin — the Yoruba people are an ethnic group that primarily inhabits southwestern Nigeria — and it’s all encompassing, with a healing component as well as mathematical and technological concepts. It’s complex, Weeks said. Weeks doesn’t embrace the title “priest.” It’s limiting. “I like to define myself as an artist even though the priest part is true. I feel more free when I use the term ‘artist,’ not boxed in. A priest seems apart from everyday life and reserved for a certain class of people,” says Weeks, who counsels clients on an array of matters from health to relationship to career issues. Weeks is held in high regard by American academia: The St. Joseph High School graduate, who served a stint in the Air Force, was invited to speak at the Harvard School of Divinity in 2012. He is gifted — an award-winning photographer, a linguist and a freelance writer who has published in national magazines and local newspapers. Weeks’ book provides a compass for people who have lost their way. How does one achieve a substantive and meaningful life? Weeks suggests that we “follow our voice;” try to find a balance in life spiritually, emotionally and physically; and strive to build relationships, friendships. Don’t stand alone. We are not meant to weather life’s storms alone, he said. “That’s how society conditions us to think. We are supposed to do things by ourselves. We are supposed to be able to solve every problem on our own. And so what happens is that many of us feel so very isolated. We may be struggling with something emotionally or otherwise but won’t let people know,” he says. Weeks said the recent suicides of celebrity chef Anthony Bourdain and actor-comedian Robin Williams demonstrate how society has gone astray. “They are at the peak of what society says is a successful life. They are famous. They have money. They are doing all these amazing things but they are struggling inside,” he says. African spirituality seemingly has a proverb for every situation. The title of Weeks’ book, and his documentary too, is inspired by a Yoruba proverb that suggests that when a powerful force (king) sends you on a mission (across a river) you can’t refuse — regardless of its potential pitfalls. Weeks has accepted his mission. It’s not complete, but he is well on his way. 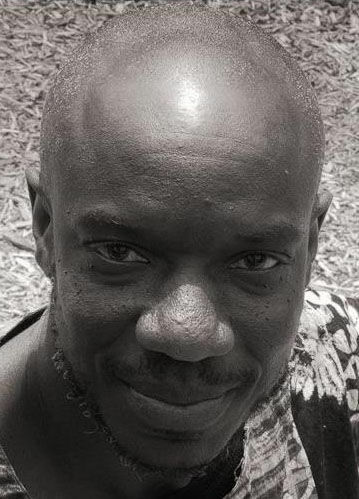 Editor’s note: St. Croix’s Mark Feijao Milligan designed the cover of “Meditations.” Milligan grew up across the street from James Weeks’ home in Estate Whim, St. Croix, but at the time they didn’t know each other because Weeks is 10 years his elder.